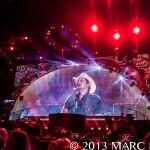 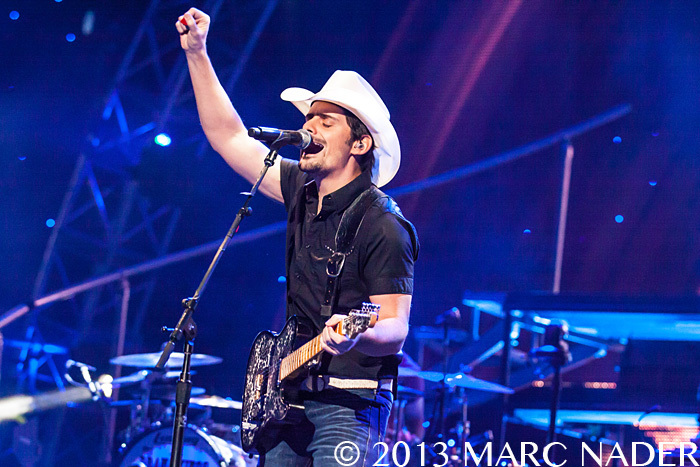 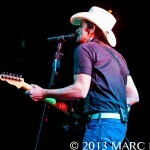 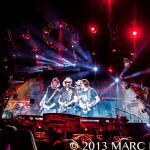 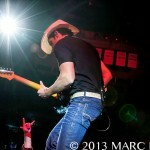 Brad Paisley wrapped up his Beat This Summer 2013 Tour Saturday night, right here in the Motor City. 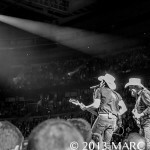 Fans were not disappointed, as this award winning country icon, made all in attendance feel as if they were old friends, typical of this genuine West Virginia native with a love for old fashioned American values and the guitar. 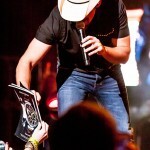 Paisley’s commitment to his fans was apparent as he sang “Southern Comfort Zone”, all the while uncapping a fan’s Sharpie and signing autographs, only to later grab a phone from a lucky fan and left them an invaluable video souvenir from the night. 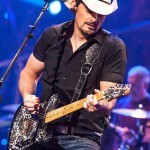 As Paisley performed hits such as “American Saturday Night” and “This is Country Music”, country icons, such as Andy Griffith, Hank Williams Jr. and Johnny Cash, could be seen flickering across the large screen that graced the majority of the stage. 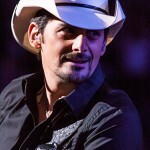 Brad’s sense of humor was ever present when he mixed performance with a self-animation depicting out many of the typical Hollywood scandals while performing “Celebrity.” Also worthy of the crowd’s laughter, this same Paisley caricature could be seen referencing Psy’s “Gangnam Style” and there was the occasional video clip of a screeching goat, just to grab your attention! 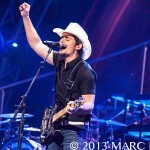 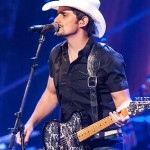 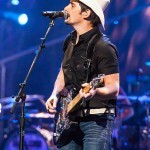 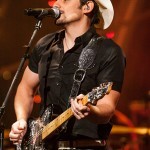 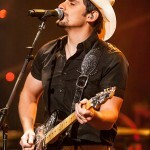 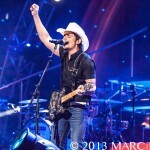 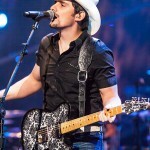 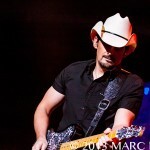 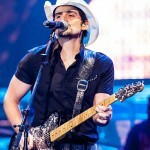 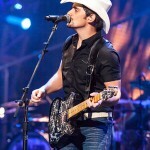 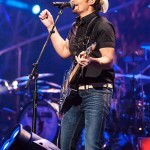 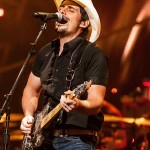 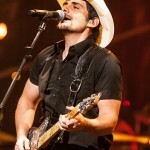 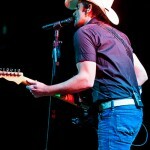 Brad Paisley took the crowd through many emotions that night from welling with patriotic pride to laughing at his outlandish pop culture references. 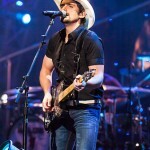 It was only fitting that he also brought a tear to some eyes as he played “This is Country Music” on an acoustic guitar, which he then handed to a young boy, who was perched on his father’s shoulders. 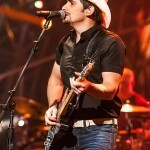 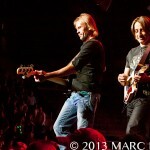 As this show already felt personal, Paisley even got more intimate and joined the “beer drinkers in the back” by moving to a second stage located on the opposite end of the arena and giving fans an opportunity to slow down with his 12th number one single “Waitin’ on a Woman” as well as “Anything Like Me.” Brad wrapped up his 2013 tour back on the main stage with a great encore performance of “Alcohol.” Undoubtedly, this was a performance that pleased fans of all ages, with a perfect blend of Paisley’s past and present. 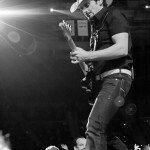 Brad’s performance touched our souls last night and made me want to scream “I Love Country Music”!